Avakas Gorge is a little known and seldom visited, but an interesting place in Cyprus. 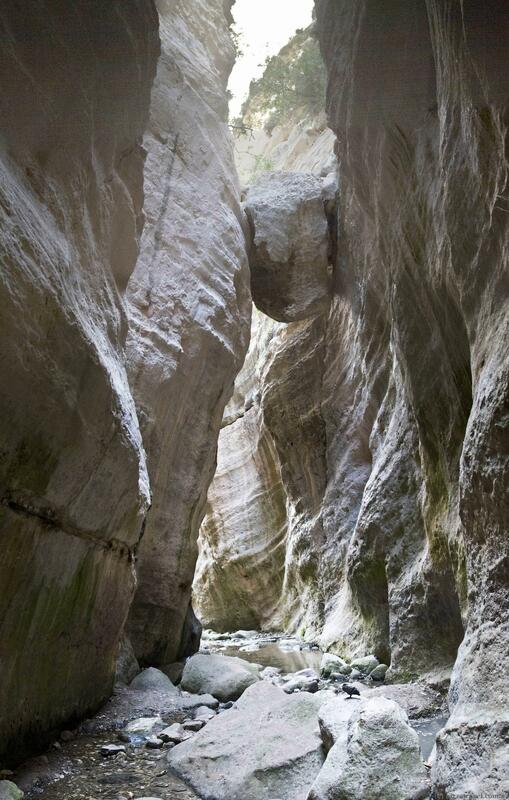 It is a canyon created by nature with a small river flowing through it. The river's intensity varies depending on time of year and the weather. 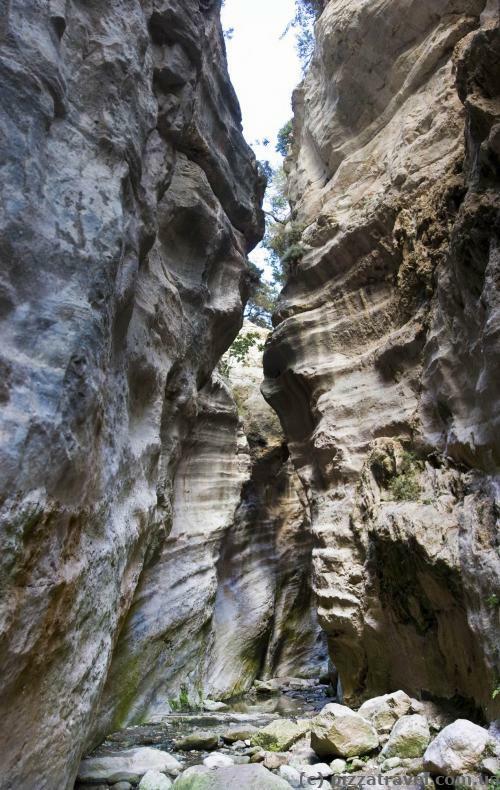 During rain the water level rises, so better visit the canyon in dry weather. 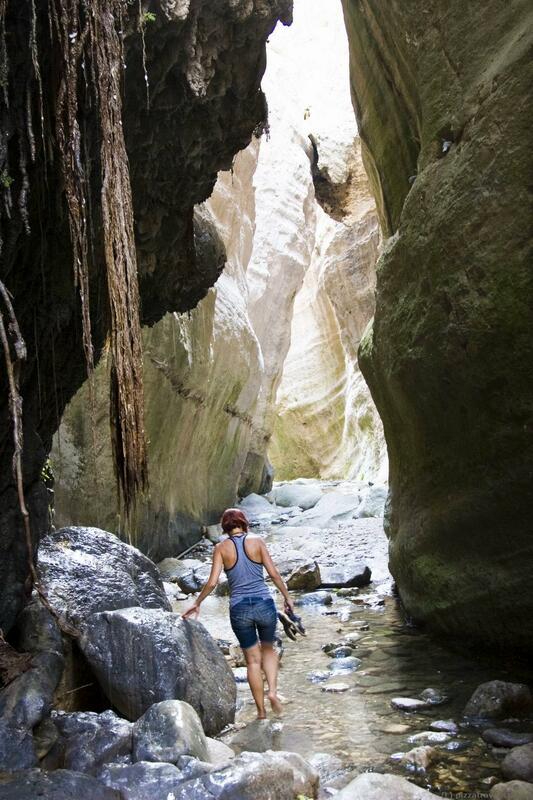 Wear convenient shoes, take water, and in any case don't go to the canyon alone. Even during the time of our visit we saw a dozen small stones falling from the top. This is caused by birds and goats. The stones didn't hit us, but it's quite dangerous. 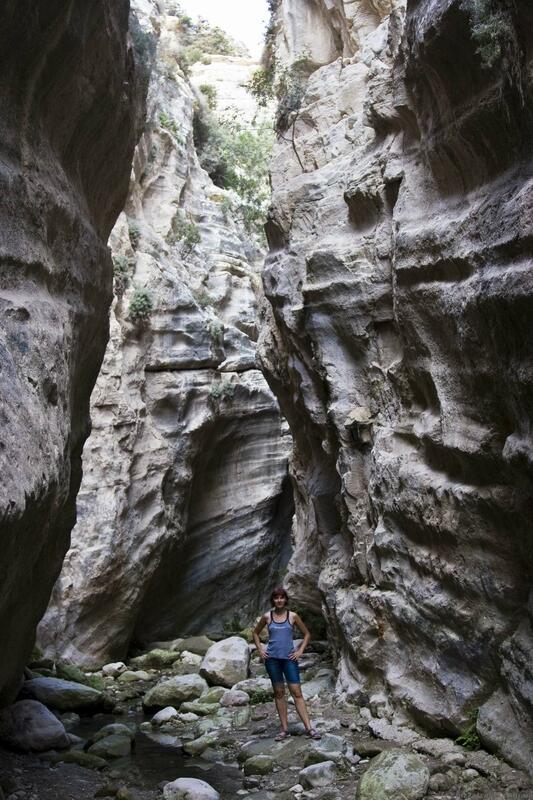 Because of the presence of water there's a lot of vegetation at the entrance of the canyon. 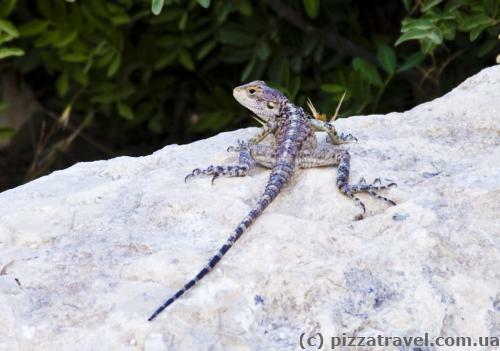 It is home to small animals, rabbits, foxes, but we saw only lizards. You need about 60-90 minutes to visit the canyon. 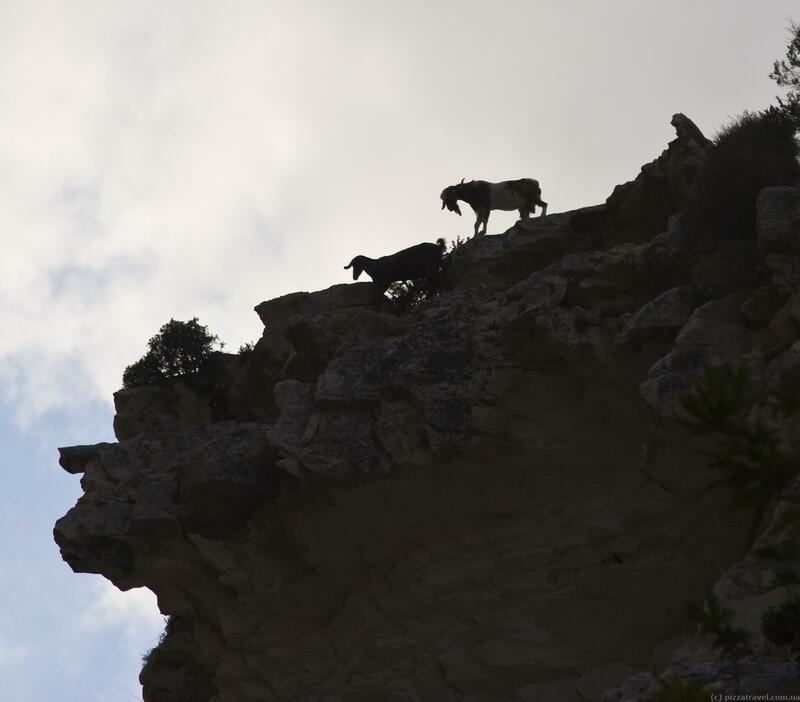 There's approximately 4.5 km from the Agios Georgios Church to the parking lot near the canyon. Getting there: The best option is a rented car. There is no public transport to the gorge. We did the following. There is a taxi stand in front of the large Coral Beach Hotel And Resort, near the supermarket. 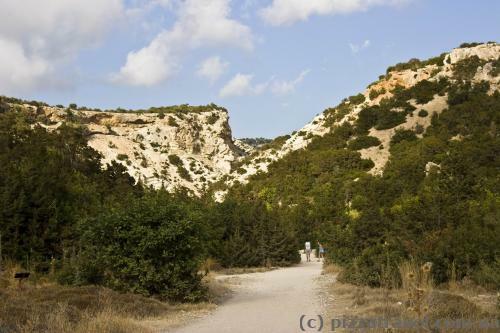 It's about 400 meters from the end stop of the bus 615 from Kato Paphos to Coral Bay. There, we agreed that we will be taken to the canyon, and in 90 minutes will be taken back from the same place (for 45 euros). Taxi stand has off-road cars and that's important, because the road to the canoyon is not paved, so not every taxi driver want to go there. If you live in Coral Bay, you can rent a buggy or quad and ride them. You can take a bike too if the weather is not too hot. Of course you will need a map. 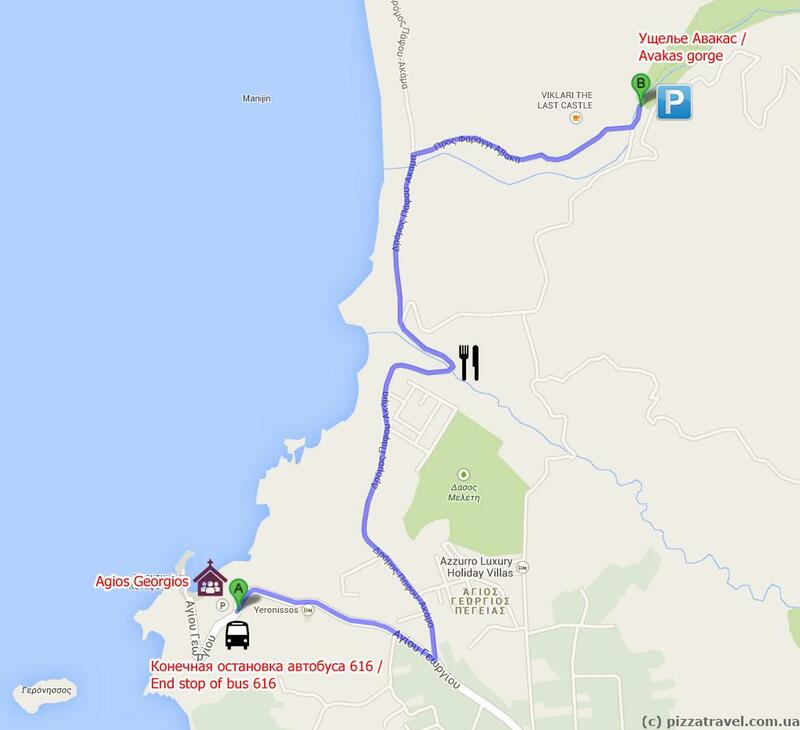 You can also reach on foot from the church Agios Georgios (see diagram above). This is the final stop of bus 616, which runs from Coral Bay. And Coral Bay can be reached by bus 615 from Kato Paphos. Bus 615, Kato Paphos - Coral Bay - timetable and map. 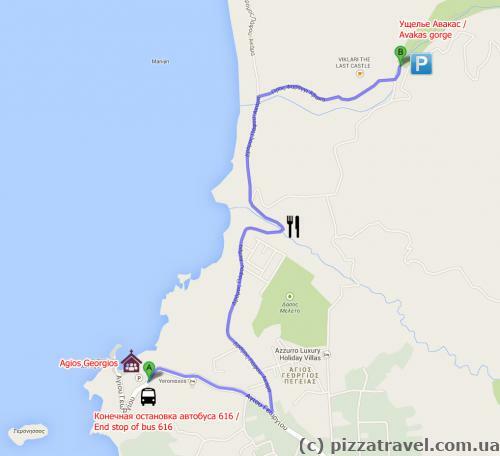 Bus 616A, Coral Bay - Agios Georgios Pegeias - timetable and map. Bus 616B, Coral Bay - Agios Georgios Pegeias - timetable and map.